La Vie Fleurit: Give-Away; And the Lucky winner is .... !!! 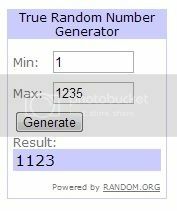 Give-Away; And the Lucky winner is .... !!! As I already announced on Facebook, because we couldn't find out the identity of one of our winners, we promised you guys to pick a new one.